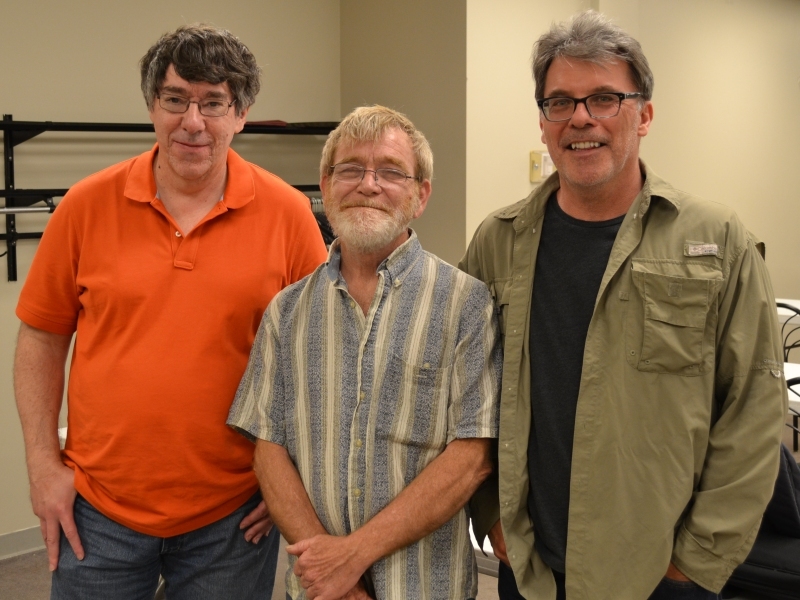 Champions (from left): FM Dave Sprenkle, Joe Revnell, Dan Sajkowski. 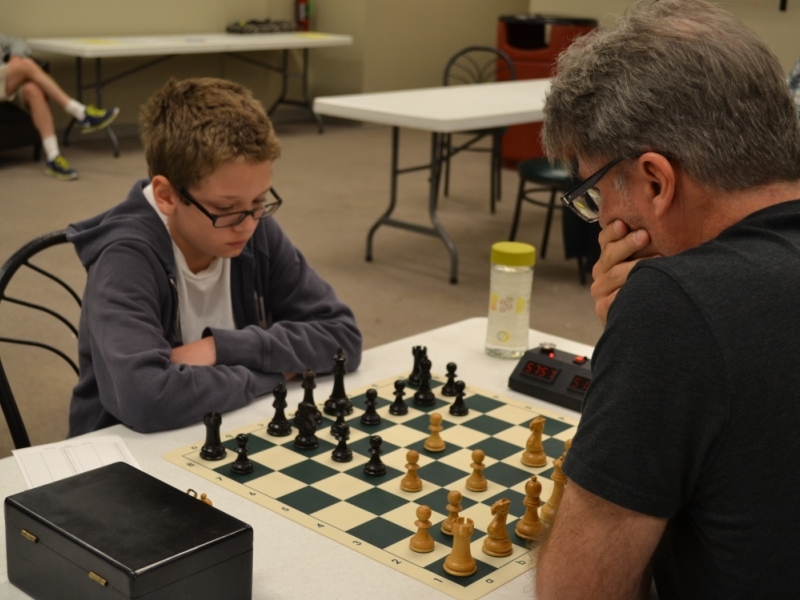 After a ten-month hiatus, tournament chess returned to Traverse City with the Traverse City Challenge XI held on Saturday, June 10. In the Open section, FM Dave Sprenkle and Dan Sajkowski shared first place, while Joe Revnell won first place in the Reserve Section. In all, fourteen players competed. I’d also like to give special recognition to our newcomers playing in their first TC tourney: Adam Masek, James Kleshinski, Dale Shalifoe, and David French. We hope to see you again at a future Cherry Chess tournament! Youth vs. Experience: James Kleshinski (left) faces off with Dan Sajkowski. 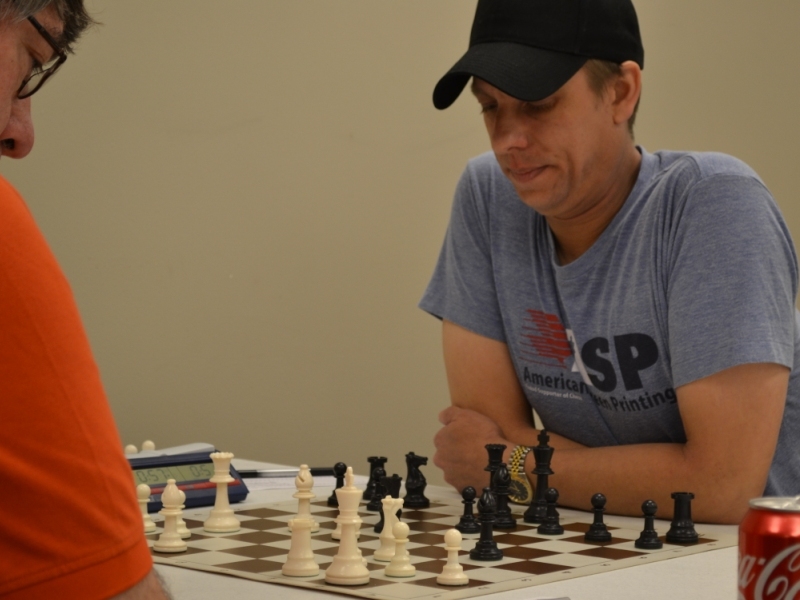 Adam Masek (right) ponders the board in his game against Dave Sprenkle. I recently moved to Traverse City from North Carolina, where I had been active as a chessplayer and a USCF tournament director. A longtime tournament veteran, I've been chasing the Expert title which I finally achieved in mid-2014.